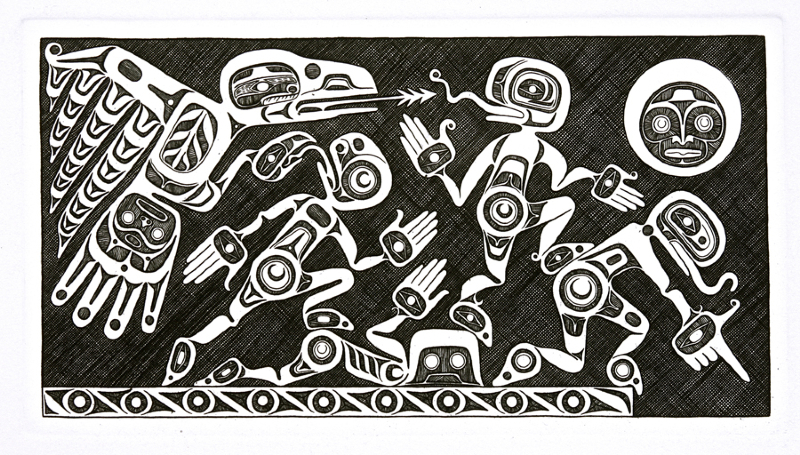 Lyle Wilson is a Haisla artist from Kitamaat village, which is near the town site of Kitamaat, British Columbia, Canada. 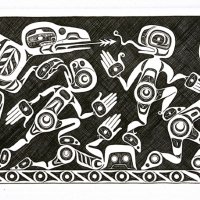 The Haisla tribe is often referred to as Northern Kwakiutl, however, their historic artistic style has influences from various sources — notably Kwakiutl and Tsimshian, as well as developing distinctive qualities of their own. He is the Artist in Residence at the University of British Columbia Museum of Anthropology (MOA). A solo exhibition of his work opened at the MOA in 1989 and travelled to eight other venues. He has produced major commissions in Vancouver for the First Nations House of Learning, the Canadian Institute for the Blind and the B.C. Sports Hall of Fame, as well as for the Canadian Consulate in Osaka, Japan.